Have you ever gone from the pleasant observation that things are calm and quiet to an urgent sense that they’re too calm and quiet? As it relates to the U.S. equity market, this notion has at least crossed our minds. Surely, the more interesting aspects of the market this year include such things as the broad market stock indices routinely hitting new highs, select tech stocks being the engines behind those gains, and the continued weakness in the energy sector. Market attention is also focused on major initiatives like health care and tax reform, how many interest rate hikes the Fed will make this year and how their outcomes might impact what has become known as the “Trump Trade” that has propelled the equity market since the presidential election. While these factors – combined with slightly more challenging than usual issues on the geo-political stage – should amount to at least long-term average levels of market consternation, they are not. The market seems too calm and quiet. Given the propensity to focus on the shiny “market objects” described above, it is understandably not immediately obvious that several important measures of market volatility have been unusually, and almost eerily, subdued this year to date. The VIX index, which is the primary U.S. equity market volatility measure, is known and tracked by many, and so much so that one can invest based on one’s view of whether volatility will increase or decrease from its current level (ticker: VXX). According to an analysis by Bloomsbury Advisory, the VIX has traded below 10 only 41 times since 1993 on an intra-day basis and 21 of those occurrences have taken place since May 1 of this year. When you consider there have been 6,179 trading days since 1993, you can see that this is quite extraordinary. The MOVE index, another measure that reflects interest rate volatility across the U.S. yield curve, is hovering just above the 52 level that represents the trough of the index since 1988. Only in 2007 and 2013 was the index lower, and only barely so. A third measure, the 3-month euro-to-U.S. dollar exchange rate volatility, is now below 7, only having been lower twice in 2007 and 2014 since the inception of the euro. Taken together, these 3 important measures of volatility paint a picture of serene calm, and what some might characterize as complacency in financial markets. This doesn’t seem to reconcile with what most market participants see as a market environment with at least average aggregate levels of risks that should be giving us more market excitement. The backdrop described above does have some correlation with the momentum drivers underlying our systematic strategies, but they are different. Our Tactical Allocation Portfolios are fact driven, based upon internal supply and demand metrics, whereas volatility is a forward looking investor sentiment-driven indicator. Nonetheless, their observations will align from time to time to be sure. During the second quarter, our Tactical Allocation Portfolios remained in more defensive positioning given a muted continuation of demand deterioration following the market dynamics surrounding the original health care reform bill’s defeat in Congress late in the first quarter that led to this positioning. Despite the historically low volatility levels cited above, U.S. equities, to which our models are most sensitive, increased only modestly during the quarter, causing our portfolios to not miss out on much performance by being in this defensive posture. As a reminder, our Aggressive and Moderate Growth models were the ones that were traded into more defensive positioning. Neither the Moderate or Conservative models saw meaningful exposure changes. For the quarter, portfolios slipped only modestly relative to their benchmarks. We encourage you to review your individual quarterly report and would be happy to discuss your results via call or meeting. On a lighter note, last month we celebrated our 20-year anniversary with a client appreciation event at the Mission Hospital Conference Center. It was great to see so many new faces and I enjoyed reminiscing about how I grew my practice into the full-service financial boutique that it is today. 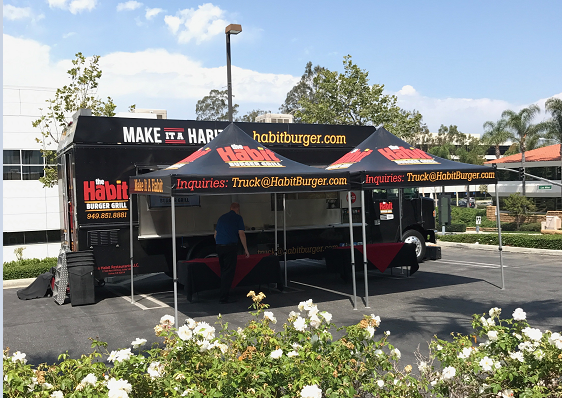 We also enjoyed raffling off some nice gifts and sharing in a delicious lunch provided by The Habit food truck. Not surprisingly, the Ahi burgers sold out, but fortunately after many guests already had second helpings! A highlight of the event was a presentation on the current state of cybersecurity by Chad Gnifke, CEO of our IT support company, BriteCity. As you might expect, we were all quite disturbed to have our worst fears validated with examples of how vulnerable we all are. There were 3 particular tips that were shared with us that could be of benefit to you, so we will share it with you here. First, use “pass phrases” for passwords. Just consider how much harder it is to break “RunEverywhere” as opposed to just “Everywhere”. Of course, continue to include numbers and symbols to further add complexity (e.g. “Run3verywhere!!”). Next, there’s an easy to use approach to creating unique passwords called “haystacking.” It’s very common in the business world, but increasingly being used by individuals, given the proliferation of websites that require logins and passwords. Haystacking simply involves the transforming of your common passwords into one that is unique to each website while also leveraging a standard approach to remembering it. Using Google Mail as the website and “Run3verywhere! !” as your common go-to password an example, you might instead use “GOORun3verywhere!!GLE”. As you can imagine, a password like this is exponentially more difficult to break, even by the most sophisticated hacking software. A third tip was the availability of software applications like Lastpass and Dashlane that encrypt and store your passwords, which would become a necessity should you incorporate the more complex passwords described above. Capabilities like this are already built into some newer internet browsers, but the ones noted above are particularly well suited for managing the websites and their passwords. The last tip is simply to log off when you’re not using your computer. When your computer is logged in and idle is when it is most vulnerable. And with that, we log off until next time! The opinions expressed are those of Prescott Tax and Wealth Management as of May 9, 2017 and are subject to change. This material does not constitute investment advice and is not intended as an endorsement of any specific investment. Investment involves risk. Investing in foreign markets involves currency and political risks. Information and opinions are derived from proprietary and non-proprietary sources. Please note that investing in the stock market involves risk and no strategy can mitigate the risk completely. S&P 500 is a registered trademark of The McGraw-Hill Companies, Inc.Prescott Tax and Wealth Management is a Registered Representative offering Securities and Advisory Services through Independent Financial Group LLC, a Registered Broker-Dealer and Investment Advisor. Member FINRA and SIPC. Prescott Tax and Wealth Management and IFG are not affiliated.